About the Author: Chloe Condon, Hackbright Grduate Dec ’16. 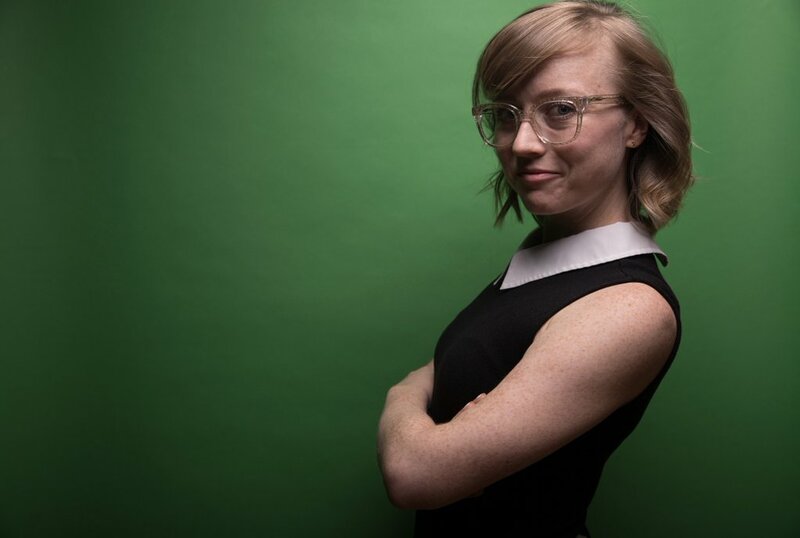 A former musical theatre actress and Hackbright Academy graduate, Chloe is now a Developer Evangelist at Codefresh. Pre-Hackbright, she spent her nights and weekends performing in the Bay Area as a singer/actress and worked in tech by day. To support her theatre career, she started to learn to code on her own through online resources. 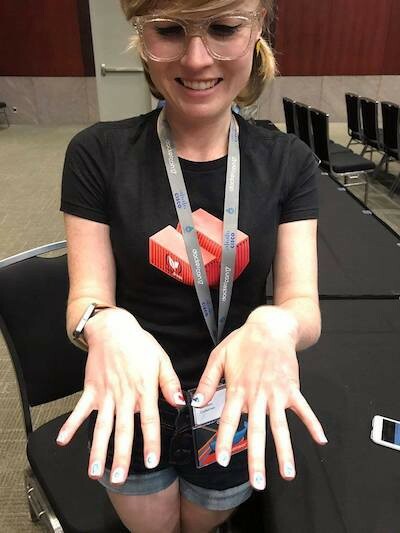 Now a Hackbright Ambassador and Mentor, she is now the first female engineering hire on her team, and is passionate about bringing people with non-traditional backgrounds into the world of tech. The irony of all of this? I am more often than not giving talks on diversity at these conferences. Which, hey, is great! It means that the people running these conferences see that there is a problem and we need to fix it. But, seriously… this begs the important question: Where are all the women in tech? Or, to put it more casually… where my ladies at? 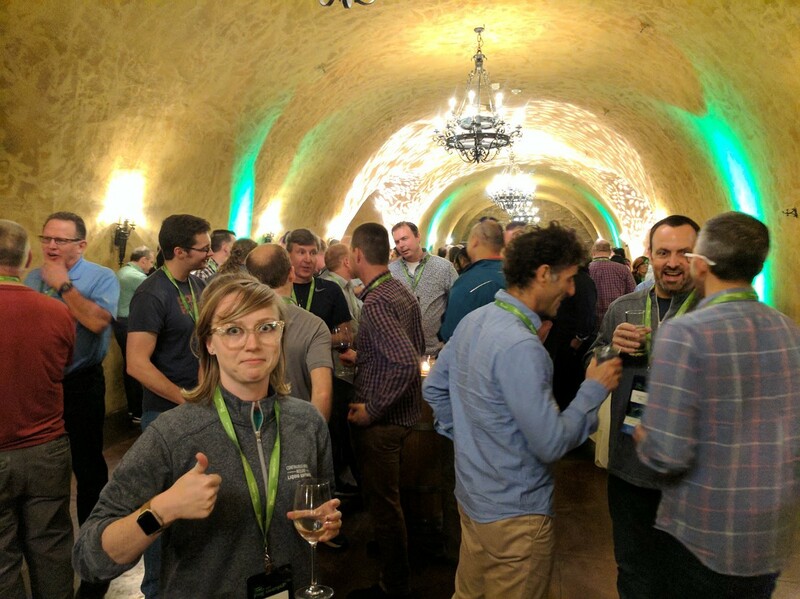 As a female engineer at a tech conference, I find myself constantly having to prove myself to most people I meet. Be that by dropping engineering buzzwords, wearing one of my engineer inside joke shirts (“World’s Okayest Engineer” is one of my personal favs), or simply saying my job title; more often than not, people assume that I must be “some girl they hired to run a booth who is trying to get some swag” from them or “someone’s daughter tagging along to the conference” (to be fair, I used to play teenagers during my acting days… but I digress). To give some context, I’m a quirky 5’2″ blonde girl with sparkle glasses and, on occasion, sporting pigtails or a bow in my hair. At first glance, an individual may think “oh- she must be Zooey Deschanel’s stylist”. But I promise I’m an engineer you guys. Imagine being the only women at a bar on Saturday night (this is unfortunately not The Castro or Capital Hill in Seattle 🏳️‍🌈). Now imagine that same bar, but rented out by a cool tech company with several open bars. Ok cool- now you know how I have felt at almost every after party I’ve been to at a tech conference. Luckily, I’ve only had 1 awkward oh-god-please-leave-me-alone situation so far (pro-tip, never call anyone a “hott nerd” to break the ice). 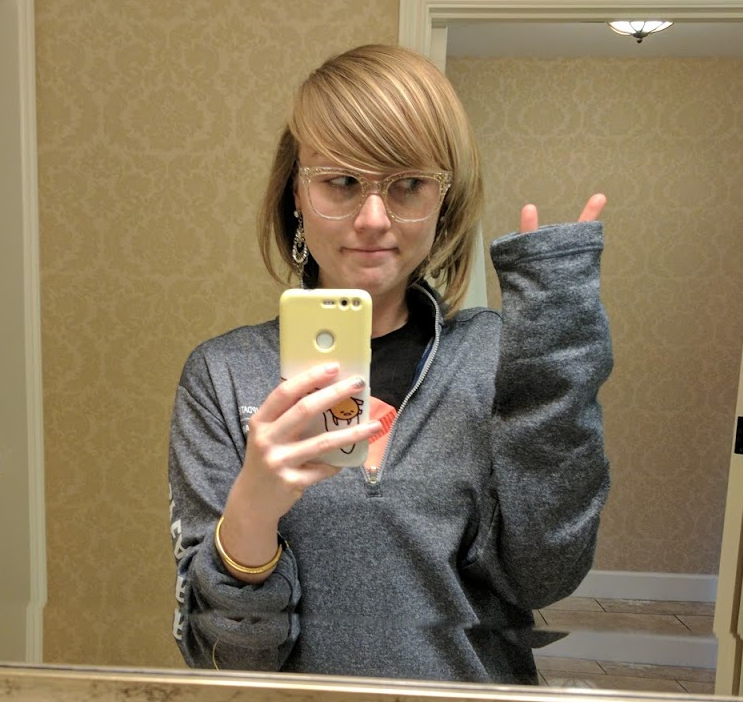 I’m always thrilled when a swag booth carries women’s sizes, and take a lot of pride in the fact that Codefresh always has an ample amount of women’s apparel in all sizes. 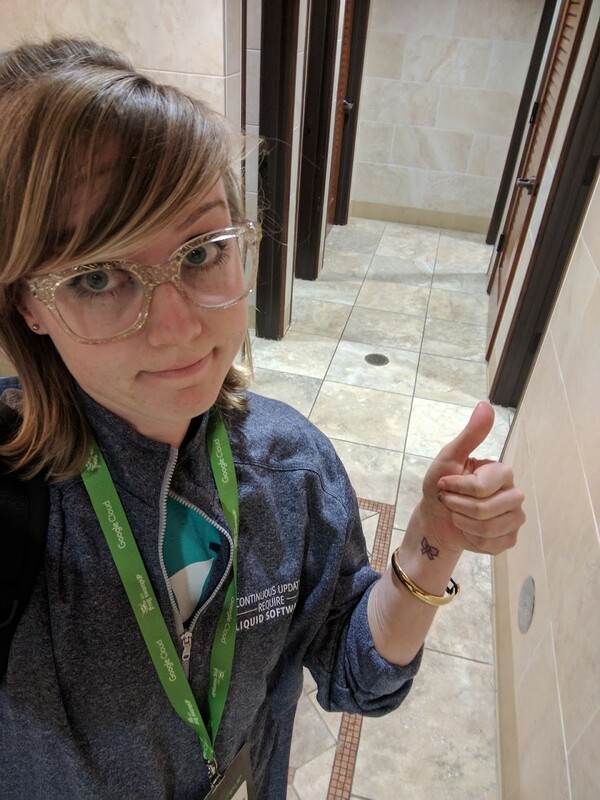 Shoutout to Mapbox, Dropbox, GitHub, Docker, and Women Who Code for being the only companies that have provided me with shirts I can sport proudly without feeling like a 5 year old wearing her dad’s shirt at a sleepover. Though there may not be many, there are usually a handful of other lovely, smart, interesting women at these things. My favorite example of this would have to be Shilpa Rao, a 15 year-old who I met on the conference floor at DockerCon. Shilpa and I wandered the expo floor for a bit together and chatted about what it’s like to be a woman (and young adult) at a tech conference, and how sometimes it can be difficult to have people look past stereotypes. Shilpa seemed to be experiencing similar assumptions as a younger person as I was as a female engineer. Jokes on them, though; she is the co-founder of STEAM Team– a youth led organization geared towards bringing education and resources to the children of underprivileged communities in the Bay Area, and she even edited the following video for her company. Look out for this one, you guys- she’s fierce. Keep smashing those stereotypes, Shilpa! 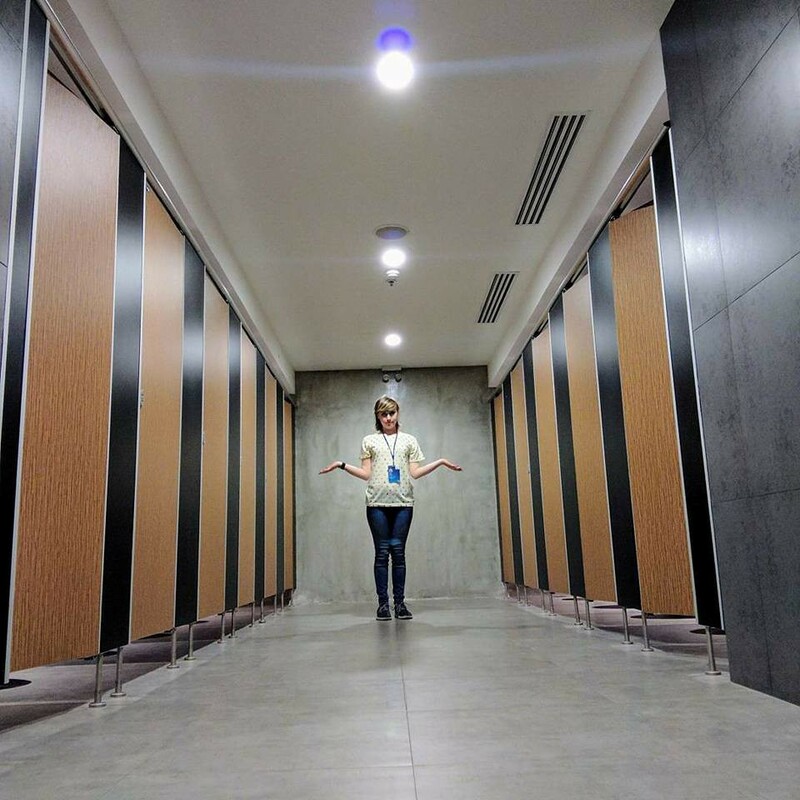 Read Chloe’s blog in entirety HERE! Interested in Hackbright? Check out our upcoming events!